For that exquisite touch of luxury, Luxury Printing offers elegant letterpress printing. 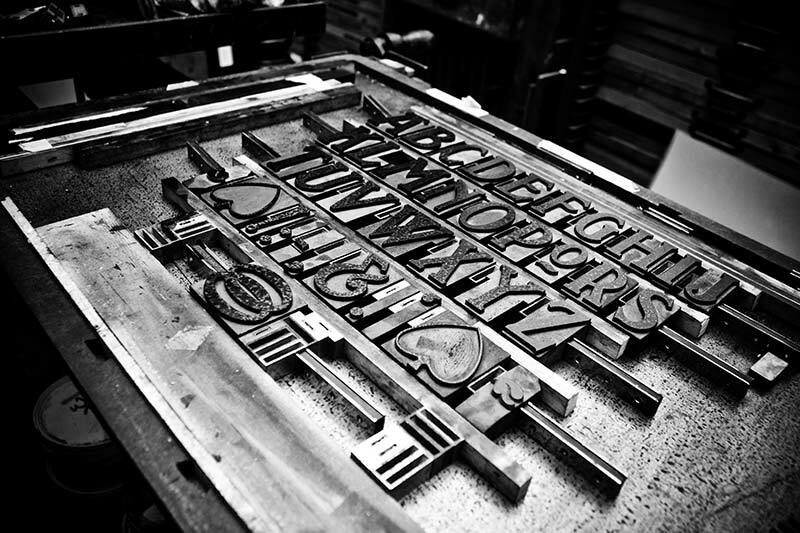 Letterpress printing is the time-honoured technique of relief printing using a printing press; a process whereby multiple copies can be produced by repeated direct impressions by an inked, raised surface against sheets of card or paper. Firstly, a composition is created by locking movable type blocks in to the ‘bed’ or ‘chase’ of the press. These blocks are then coated in ink and then the paper is pressed against them to transfer the ink from the type block to the paper. There is a commonly used expression in the print world, called ‘an impression’, and with our traditional pressing techniques, each and every sheet does literally, leave a lasting impression. At Luxury Printing, we offer specialist, boutique letterpress products including cotton and suede card stocks, white ink on black paper, coloured foil cards and edge painted cards as well as traditional cards and letterheads. Whether you need a wedding invitation, luxury business card or a beautiful announcement card or stationery, we can help you create the perfect design to finish a perfect product. Our talented graphic design team can work with you hand in hand to create the perfect letterpress product. Contact us directly to get started. When you want to add a touch of luxury to your business card or wedding invitations, look no further than letterpress color foil. It uses specialized foil which is printed onto the paper stock using letterpress equipment. The effect is akin to streaked colors produced by the old letterpresses giving your media a look and feel that is unique. A perfect blend of modern and traditional techniques, letterpress color foil printing, is trendy today. Letterpress color foil printing is quite popularly used in printing premium products like letterpress business cards, wedding invitations, letterheads, reports and more. One of our most beautiful card stocks available is hard suede card stocks. The soft and plush suede cardstock is perfect for letterpress printing. This high-end paper stock is excellent to set yourself apart from others. Unique in every way, when a client puts a suede business card in hand, they will forever remember it. Soft and luxurious to touch but sturdy and stiff for extended durability, we can also edge paint on this cardstock. Edge painting or edge cards, give a creative upgrade to your cards using painted edges on all sides of the card. Best used with thick and heavy paper stock, including suede card stocks, edge cards give a perfect blend of elegance and pop and help your cards stand out from the market. Darker or more saturated colors make the edge painted cards look sophisticated and creative. 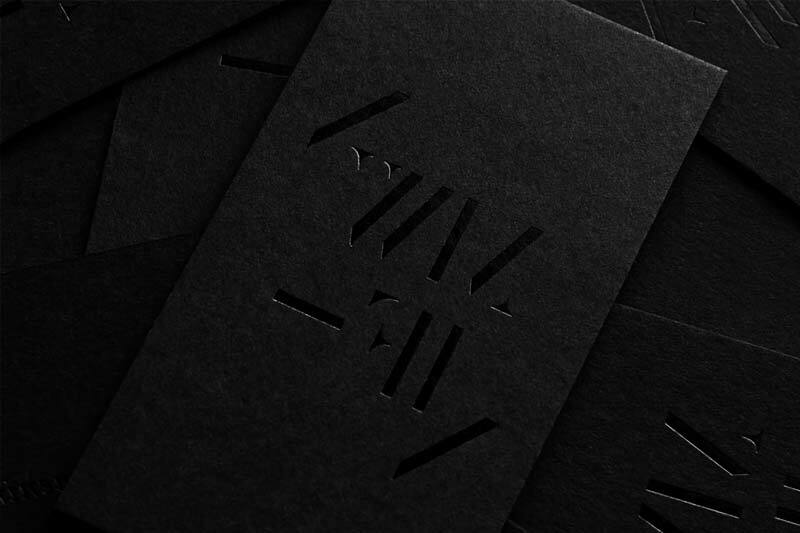 Printed in either glossy or matte finish, black paper card stocks are striking and luxurious. The colors look distinct and unique on the black background. 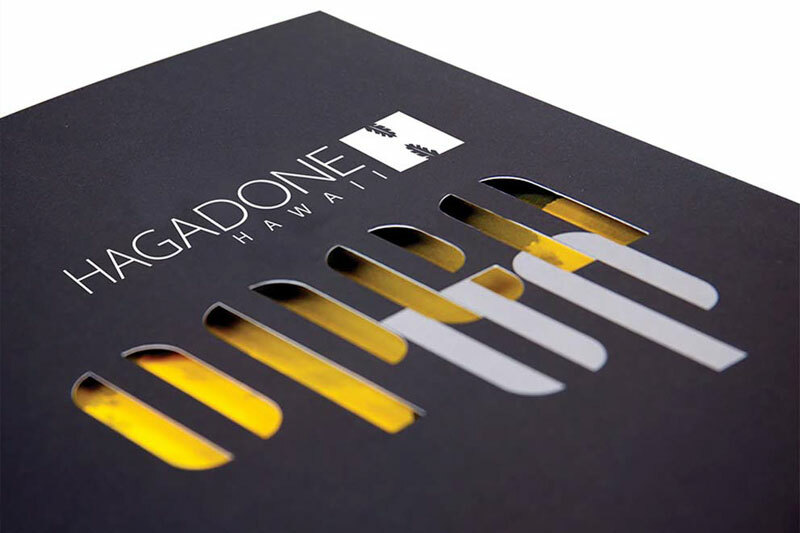 Available with Spot UV, coloured foil and white ink finishing, these special cards are a bold choice giving a lasting impression compared to regular white colored card stocks. 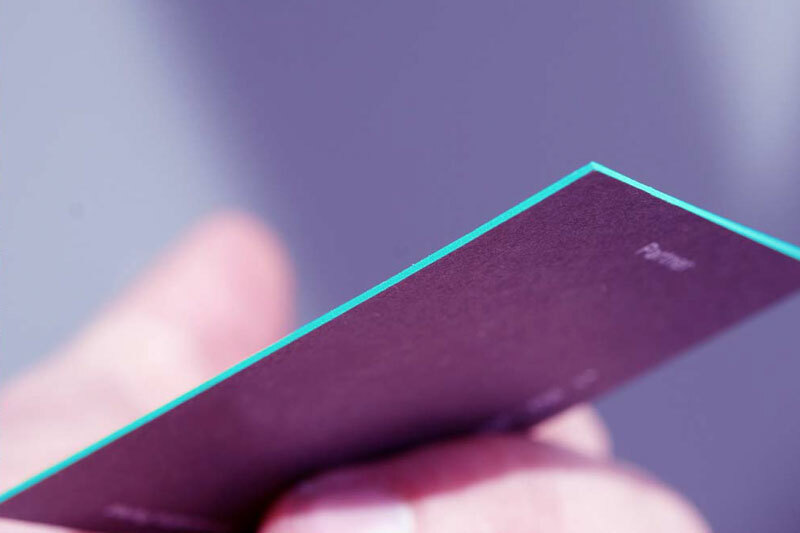 You can even look beyond white ink and go with colors that can genuinely give your card a unique spin. The cotton paper is designed to emulate the look and feel of a handmade paper, and no other card stock could be more suitable for letterpress printing than it. This thick paper stock is perfect for that special card or wedding invitation. The cotton paper gives that special touch of elegance to a simple white card. Choose either digitally printed designs, or traditional letterpress stamped into the card for an amazingly beautiful and unique finished product. Physically transform your paper into beautiful designs by cutting it into various shapes using the letterpress die cutting technique. It adds a dynamic quality to your designs that make your business card or invitation look unique and beautiful. With die cutting, the possibilities of design are endless. Cut custom shapes, punch in holes, create unique folds, add windows to reveal the art work inside or create functional hinges with letterpress die cutting. 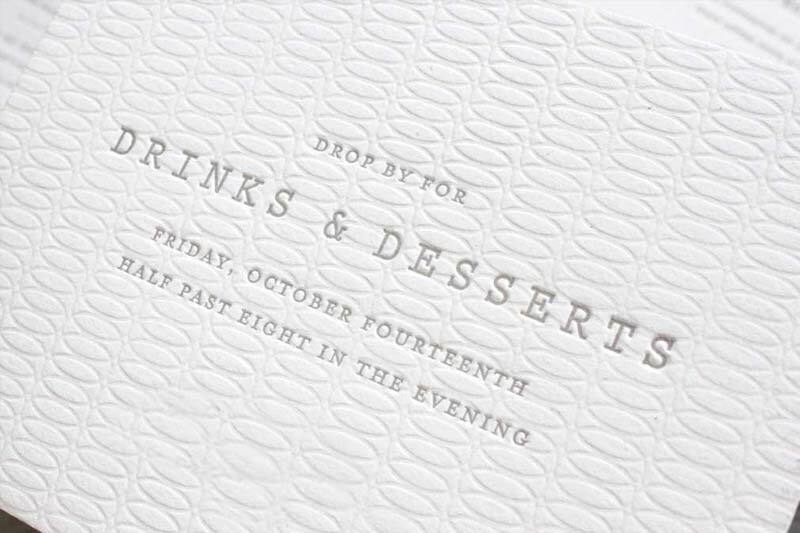 Letterpress technique can be combined with thermography technique to produce a result that is luxurious and unlike any other. Thermography involves heating the media and spraying it with a resin which gives a raised effect. The look is formal and is used for premium media like wedding invitations, business cards and more. Using a cotton fibre paper here is a good option, and you should stay away from shiny and shimmery paper. Embossing is perfect for borders and monograms. It creates an image that is raised on one side of the media. Debossing can be done similarly where the image or text is pressed into the media giving it a depth effect. 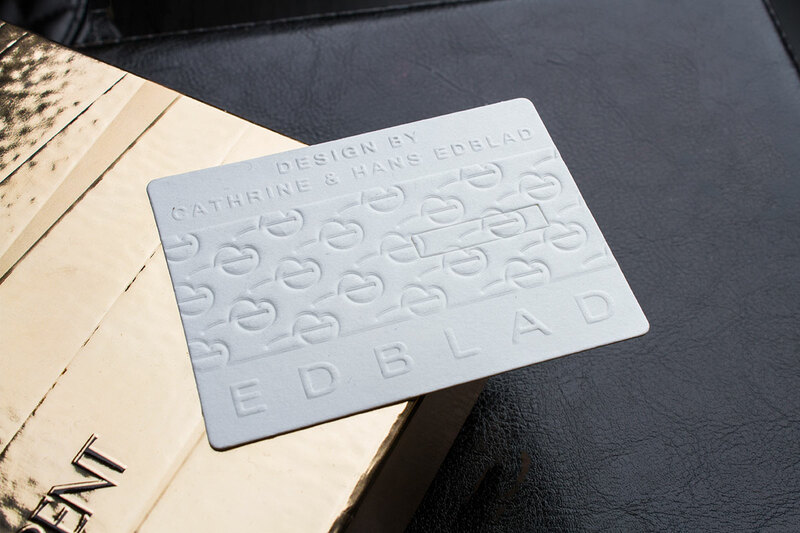 Embossing and debossing are often combined with letterpress techniques for providing your business cards, letterheads or invitations a premium look and feel. Inkless embossing or debossing is an extremely popular choice among the customers and gives your printed media a subtle yet modern look. Using two-sided letterpress printing can result in business cards or invitation cards with beautiful textures and visual depth. For a better result, a thick paper stock is used for such printing. The art is printed using letterpresses on either side of the paper, and the paper is then duplexed for an impressive result that is sure to leave a lasting impression on its recipients.